Reviewing music is sometimes a balancing act. 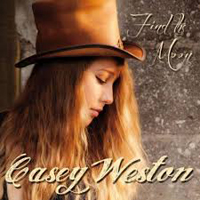 I was already familiar with young and talented Casey's work, as I received her previous album 'Find The Moon' and I played some tracks in my radio show. Although she pursued a pop sound for her country music, she worked with some great musicians then: Larry Stewart, Dan Dugmore, Tammy Rogers King and Glen Duncan. Casey also turned out to be a sweetheart, who always takes time out on the social media to thank the DJ's and radio stations who play her songs. On this new CD 'Young Heart' the pop sound takes over, besides 'real' musicians there are synthesizers and drum computers. 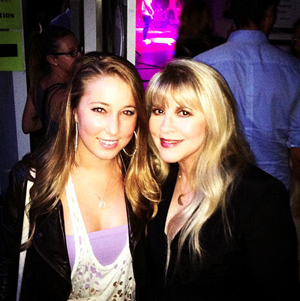 But... Casey still has that gorgeous voice and for a person her age, she writes good songs. So, I decided to write about her! 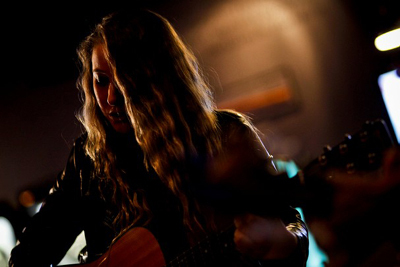 While her family enjoyed their backyard volleyball court and her friends were engaged in all the typical high school activities, Casey Weston picked up a guitar and fell in love with writing music. From the start, she appreciated the immediate feedback, both good and bad, to her work as she began to perform before live audiences at bars, coffee shops, malls and parks in her home town of Naples, Florida. In that sleepy beach town Casey developed her unique singing style and songwriting. The distance from music centers like Los Angeles, Nashville and New York provided Casey the freedom to learn and explore music on her own terms and to develop her distinctive vocal characteristics. 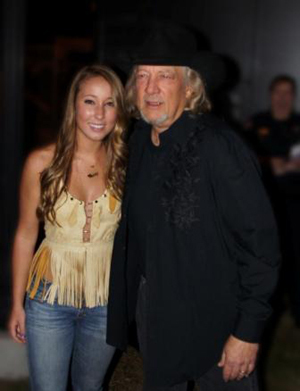 By fifteen, she had a local following and would soon open for national touring acts such as James Otto and Craig Morgan. 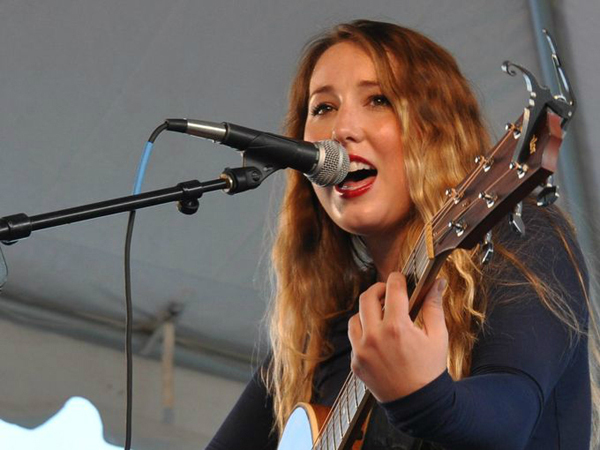 On April 7, 2009, Casey won first place in the regional Colgate Country Showdown in Arcadia, Florida. That led to her opening before thousands of fans for such young stars as Justin Moore as well as seasoned Grammy winners like John Anderson. 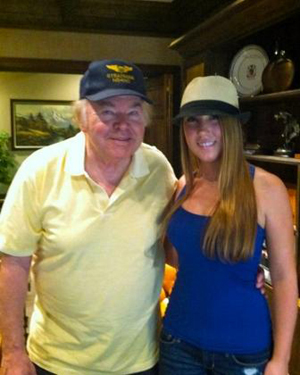 The real turning point, however, came with her being named a contestant on NBC’s inaugural season of 'The Voice'. Casey is recognized as one of the young stars whose combination of talent, personality and charisma helped launch the hit television show. Finishing number eight in the final competition, where she eventually bowed out in a head-to-head contest with the show’s ultimate winner, Javier Colon. In that first season the fans were not allowed to put two members of the same team into the finals together. While on 'The Voice' Casey was called 'Little Stevie Nicks' by pop music star Cee Lo Green, lauded by country music star Blake Shelton and told she was 'destined to be a star' by her coach and mentor Adam Levine. She earned her place in a national tour, which allowed her to play with serious musicians and exposed her to leading industry professionals. Again, all of this occurred before she had even graduated from high school. 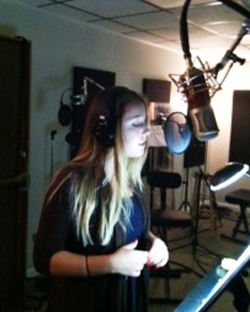 Finally, with diploma in hand, she moved to Nashville in the Fall of 2011 and committed herself to her music full time. 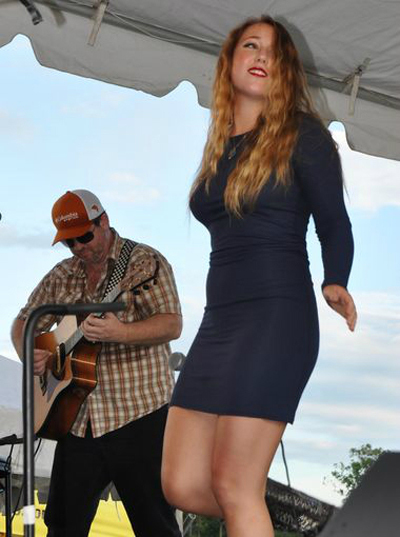 Once the rest of the world got to know of Casey’s talent she has played at music festivals with the likes of Brantly Gilbert, Kellie Pickler, Blackberry Smoke, Maggie Rose, Bush Hawg, Drake White, Michael Ray, Randy Houser and Tim McGraw. Casey has performed the National Anthem in front of tens of thousands of fans for NASCAR at the Bojangles 500 at Darlington, for the NBA’s Phoenix Suns and Major League Baseball’s Minnesota Twins. 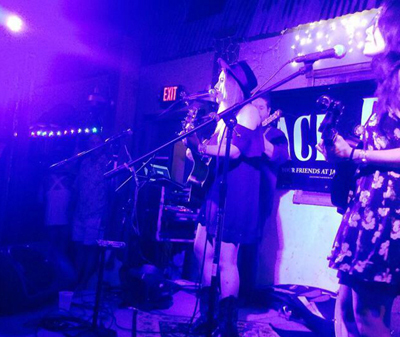 Since 2009, Casey has collaborated with a number of Nashville musicians and co-writers. She has written, produced and released two albums: a self-titled release at the end of 2009 with 10 tracks and the second in February 2013: a 13 track album called 'Find The Moon'. Both albums contain music & lyrics that Casey wrote or co-wrote. She has received very positive responses for her releases. 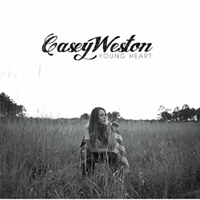 In December 2014 Casey released the single "Fallin' For A Lie" and then in February 2015 her next full album: 'Young Heart'. To date, Casey has produced three music videos: "Ain’t Life Beautiful That Way", "The Good Times" (directed by Bill Rogers) and "Back To The Start" (directed by Patrick Tohill). What remains constant throughout them all is Casey’s vocal. Her sound is pure and original. When Casey sings it is effortless to listen and easy to fall in love with her voice. In addition to her writing and recording career, Casey has become a sought-after entertainer, headlining in over seventy shows a year at venues around the country. “I love the work of Gavin DeGraw, Ben Rector, Sheryl Crow and Stevie Nicks”, she says, “but I still feel the inspiration of the music that came before me - The Eagles, Fleetwood Mac, Bob Seger. My songs tell a story, like theirs do, and I hope - touch the heart of people of all generations, not just mine”. Whether it's on line or in person, Casey has constantly been finding ways to produce new music and reach new audiences. She stays in touch and continues to build her fan base through her touring schedule. Her voice is pure and original, she is just as comfortable performing with just her guitar, with her full band, or backed by a full orchestra. Casey’s relaxed personalized style on stage and sense of humor help her make friends and build her audience beyond the hearts of the twelve million viewers she captivated while on television. She may be young but her work ethic and performance experience help her project a welcome balance of youthful energy and approach of a road-tested touring musician and performer. She is rapidly earning the reputation from music professionals as a seasoned professional that promoters and music colleagues and other bands performing with her can count on whether performing for five or five thousand! In 2015 Casey was selected by the American Society of Composers, Authors and Publishers (ASCAP) as one of seventeen talented unsigned songwriters that will make up the ASCAP Guidance from Publishers for Songwriters (GPS) Project Class aimed to display unsigned writers for our publishing community. As she continues to open for a growing list of the nation’s top performers and as she hones her skills as a writer and entertainer, Casey Weston, not yet 23 years old, is building a strong, solid reputation. The album title was a natural, according to Casey: "Because all of the songs on the album are about different aspects of love, young love, and the emotional and physical expressions of the many types of love, (infatuation, heartbreak, new love, true love), that we experience in our relationships.” She assures that all eight tracks are: "A mix of things I have seen, experienced, had close friends experience and, of course, hoped for in the case of true love.” Casey has co-written all eight tracks. 1. "Play It All Again": Casey's voice sounds like a fresh Summer breeze, once all the other real instruments take over the sound from the electronic beat - everything is fine. Then it's a fast road song. 3. "Graveyard": This track has the worst sound on the album, sorry. Way too much of the synthesizer. The pedal steel feels oddly out of place. Too bad, the lyrics are interesting and could have made a much better song: "I'll be your fallen star, light me up here in the dark / Where the hearts are, it's a graveyard." 4. "Never Come Back": A ballad about loneliness, with some acoustic guitar, a electric guitar solo and a pretty melody, building up to a strong country chorus. 5. "Little Bit Of Everything": A cool girl power song in 80s country rock style. "Simply complicated / Cool and kinda crazy", this has been done before, but it still results in a catchy song. Lots of 'real' instruments cover up the sounds I don't want to hear. We're fine. 7. "Before The Sun Came Up": Sounds like a Summer pop hit! "I wasn't looking for you when you showed up / With a surfboard underneath the boardwalk". 8. "Lock & Key": Very pretty intro, acoustic guitar, keys and lap steel for this atmospheric ballad. A simple love song: "Like an ocean needs a shoreline / Like an hourglass needs time". Even the drum computer keeps quiet, everything's under control. Lovely, I wish the whole album had been like this! Casey celebrated her birthday on December 4th, 2014 by releasing a single called “Fallin’ For A Lie”, which is not on the album. Followers of Casey's career might want to pick that up separately. Casey explains the album title: "The night sky with the moon and the stars is such a place of wonder and unknown. There is so much mystery, so much that will never be understood about the world we see sparkling above of us every night. 'Find The Moon'. I am forever learning, growing, searching, understanding, loving and sometimes hurting. These songs are my stories to share with you of these times. I am not reaching for the stars, cause the stars we see today may be gone tomorrow. Instead, I will 'Find The Moon'. The light in the sky that may disappear for a moment but will always come back again. It changes, it moves, inspires, and lights up our world each night." Listening to this album again, I underline my earlier statement: this sound with all the 'real' musicians in the studio -although poppy- is so much better, really! It starts off with energetic upbeat "Happy", power ballad "Close To Breaking" is a showcase for Casey's vocals. The cello hides the string programming, a smart move I can live with. In "Heart Don't Fail Me Now" we are treated to a light bluegrass sound, thanks to the master Glen Duncan on mandolin and banjo plus my favorite fiddle player Tammy Rogers King. How about a modern bluegrass album, Casey? You'll have my support! "Cigarettes & Whiskey" stands out, a song about Casey's wild grandmother, 'G-Mom', driving Jesus crazy in Heaven. She dedicated the whole album to her and this is: "A nod to the old song she loves to sing. A woman who sets an example to live life to the fullest, and be your weird self while doing it". "Into Your Heart" embraces the pop sound again, although Dan Dugmore plays classic country pedal steel. Casey sounds vulnerable in "Not Leaving Tonight", a very pretty song she wrote all by herself, excellent phrasing! "Crazy Fools" is a cheeky optimistic track, I like the Wurlitzer and the nice rhythm. While checking out the layout and booklet again, I notice that in three of the pictures Casey holds a lantern of exactly the same kind my father liked to collect, cool. "Headed West" features Glen Duncan on fiddle, an 80s style country rock track, including the fierce electric guitar solo, by Jerry McPherson. "Waste Of My Time" goes back to light modern bluegrass, Glen on acoustic guitar, mandolin and banjo, Tammy on fiddle. Casey holds back on being angry here, to great effect: "If you can't see what's in front of your face / Then I'll take my love to another place". Healthy self esteem, you go girl! "Like You" is another power ballad, embracing the same sound, Glen on fiddle and Tammy on mandolin: "When you play the music / I'll be the dancer". In "Ain't Life Beautiful That Way" Casey is only accompanied by Dave Brainard on acoustic guitar and this is exactly how I love to hear Casey! "The Good Times" is a bonus track, with the full studio band again. Overall, I like the sound of this previous album much better than what I heard on the new one! Unless you prefer a pop sound with a lot of beats, I want to recommend this one and you'll have a good, modern country album by a wonderful singer and promising songwriter. Then let's keep our fingers crossed and wait for the next effort! The layout of Casey's albums is very professional, with all the info anybody could ask for, also the lyrics and some stunning pictures of the lovely young lady. Her posing with the American flag for 'Young Heart' is probably a statement to support soldiers, as she also plays at the Notes for Our Troops USA event in Nashville. Hate the war, don't hate the soldiers, I'm O.K. with that. I wish every artist could have a budget to make one album looking like these two! Written & compiled by Johanna J. Bodde - April 14th, 2015.